In our past two Royal Oaks housing reports, we advised that this popular NE Tallahassee neighborhood was poised to explode (in a good way). Sales were strengthening, as were home values. More importantly, we felt that home values had dropped further in Royal Oaks than what comparable neighborhoods had experienced during the housing market correction, so we felt a strong recovery was more than overdue. As you will see in our report below, that is exactly what has come to pass. Our December edition of the Royal Oaks Real Estate Report examines long-term trends for home prices, home values, and home sizes in Royal Oaks, and displays current listings in the Tallahassee MLS and all homes sold going back to 1991. It is important to note that the narrative contained below is for sales through December for all previous years, but through the the first week of December in 2015. 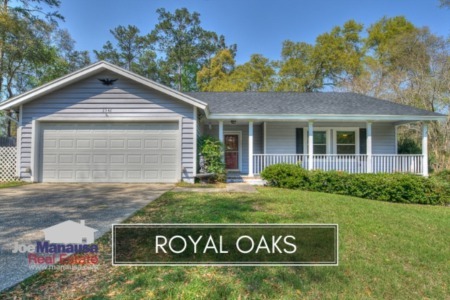 The graphs and the closed sales table will be continuously updated into the future (meaning bookmark this page if you always want to know the current status of homes in Royal Oaks). Through the first week of December in 2015, the average sales price of a home sold in Royal Oaks has been $214,500, meaning the one home currently for sale at $185,000 might not last very long. The pace of home sales in Royal Oaks has been the best we have seen since 2004 (that's right, 2015 bettered all years during the housing market expansion except 1!). One could argue that all is back to normal in Royal Oaks, as this year will finish as the 8th best year out of the 25 years that we've been recording. Average home values have risen 8% in 2015 when compared to the average last year, and with inventory declining due to very strong sales, home values are primed to soar higher. Through early December in 2015, the average value of a home sold in Royal Oaks has been $108 per square foot. 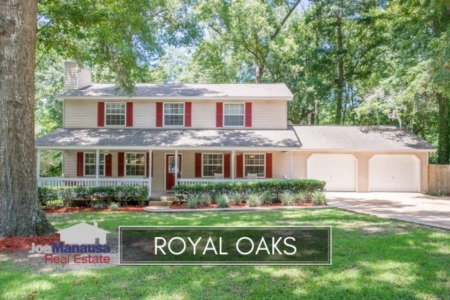 The average home size sold in Royal Oaks typically falls in a range of 1,800 to 2,100 square feet, and 2015 shows no exception. The 17 home sales thus far in 2015 have averaged 1,991 square feet, and the only one remaining this year is at the smaller end of the range. 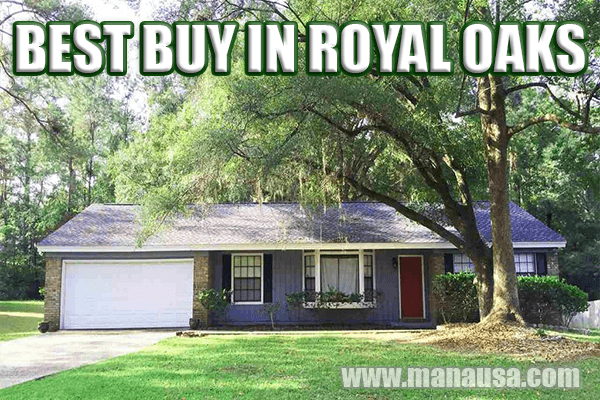 The following list shows home sales in Royal Oaks going back to 1991. I hope you enjoyed our December 2015 update on home sales in Royal Oaks, please feel free to drop me a note if you need a real estate broker or are considering selling your home.